A quick recap before we’re underway (more photos HERE) – Jewel Shannon had the best lineup and Claudia Pegus had the worst, Ria Borman was the top entertainer Saturday night. GOOD: There were young entrepreneurs touting bags, jewellery and soaps among other goodies – some were used in the show by the models and others were considered as logical accessories. One of them started their business at the insistence of their young daughter – probably how it got the name of Dollhouse Creations. She is all the way in Hillaby, St Thomas. ZIZ may be an erstwhile radio station in St Kitts, here the name is synonymous with Hair and Skin Care Products, Call Desta (directly above this paragraph) at 243-0893 and she’d be so happy to arrange an appointment. Click on her name and you can e-mail her too! Rare Unique Jewels is what Rachel Clement touted for her business and some of her accessories were tapped for the night’s event. BAD: (see above) The show did not promote that America’s Next Top Model from Season 11 would appear… What a coup wasted! Heather Jones’ jumpsuits – take a good look, doesn’t it seem that these girls are using the same outfit? Plus – would you be Caught Parading a marriage outfit like THIS?? 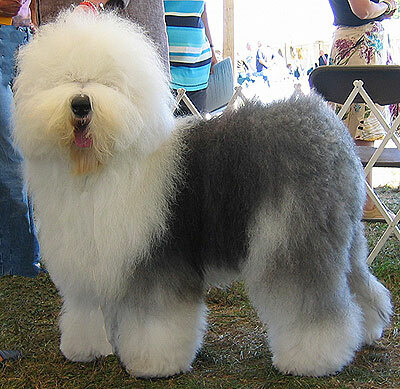 Can you say, ‘English Sheepdog‘?? The sort of ‘Yearbook‘ snapshot of all the female designers from this year’s event.